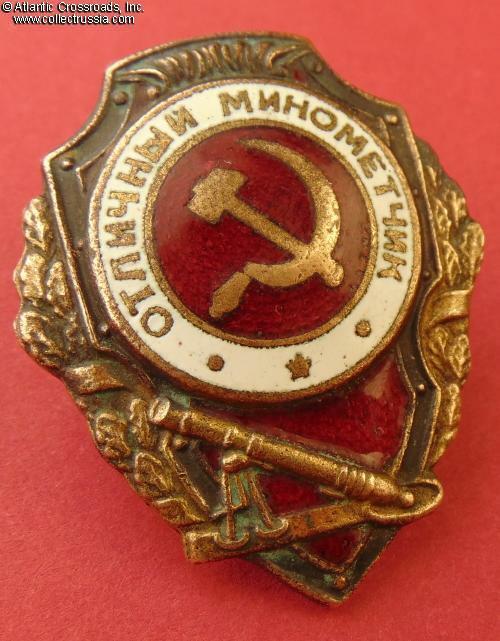 Excellent Mortar Man badge, by the Shcherbinskiy Factory, circa mid-1940s. 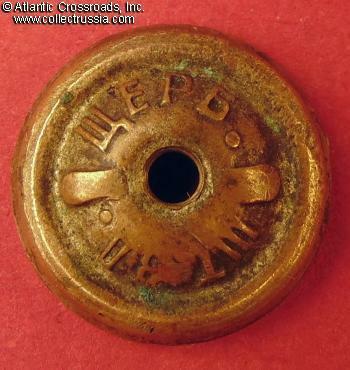 Brass, enamels; 45.7 x 37.9 mm. 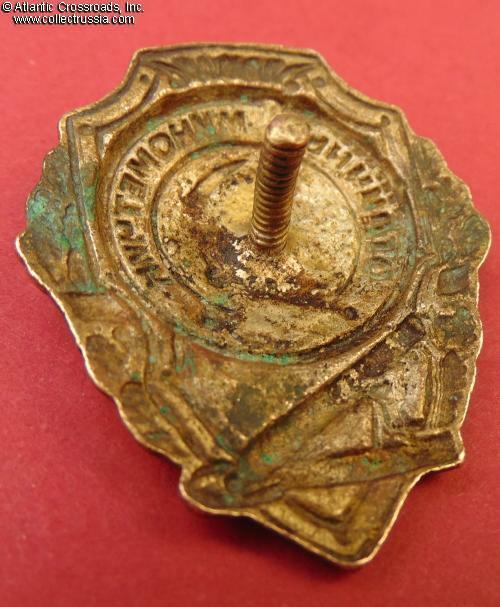 This is one of the early versions of the Mortar Man's badge. 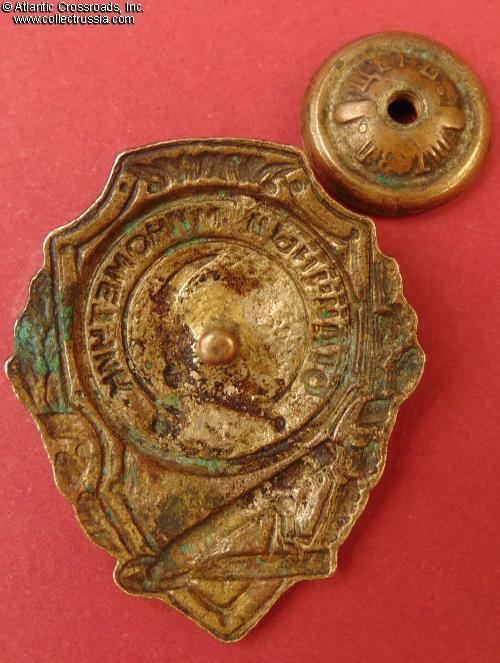 Features domed center medallion and relatively tall, well- defined embellishment at the top of the shield. The 120- mm mortar is the "slim" 1941 model. In very fine to excellent condition. 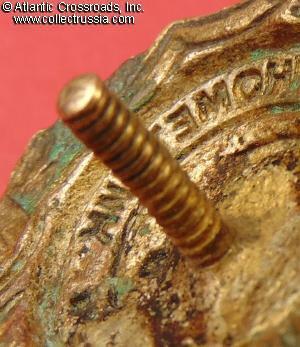 The enamel is well preserved overall. 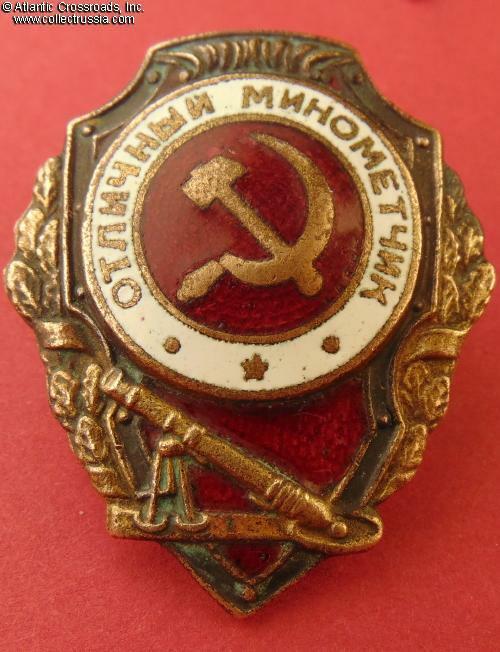 The red enamel shows light surface rubbing, minor scratches and a few tiny surface flakes. The enamel nevertheless retains very attractive luster. 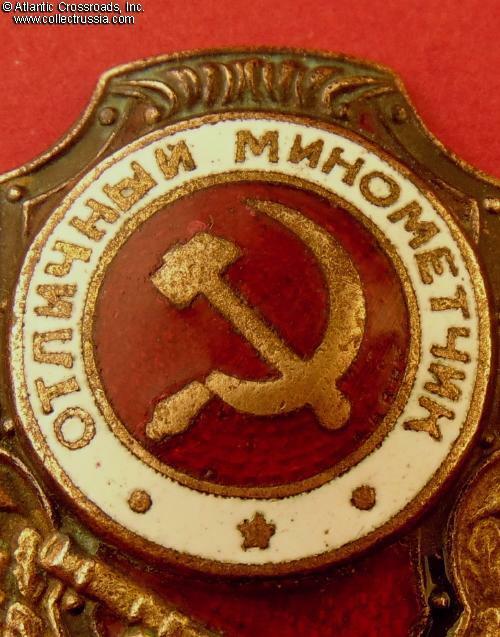 There is a miniscule hairline to the red enamel in the lower part of the shield, but it does not threaten the integrity or appearance of the enamel. 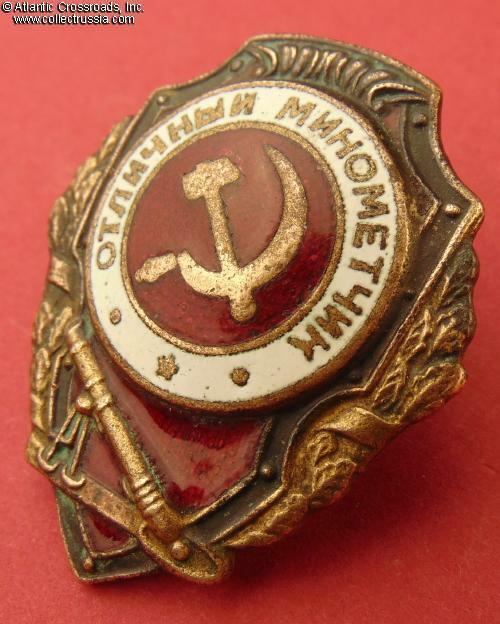 The Excellent Mortar Man badge was established in May 1942, one of the initial seven badges that started the "Proficiency" series. 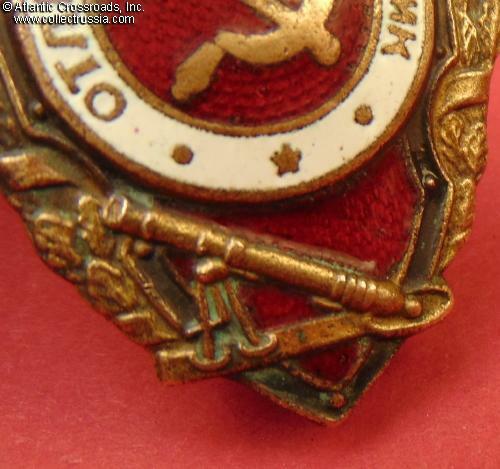 /See the B. Airapetyan, "Breast Badges of the Red Army, 1941-1945" p. 86 fig. 2/.